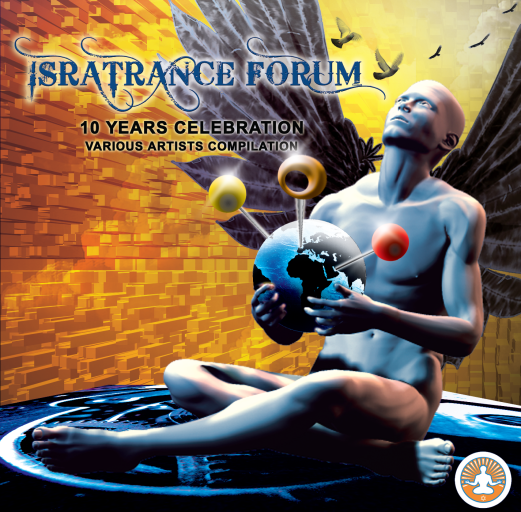 We are proud to announce the first IsraTrance Forum FREE Compilation. 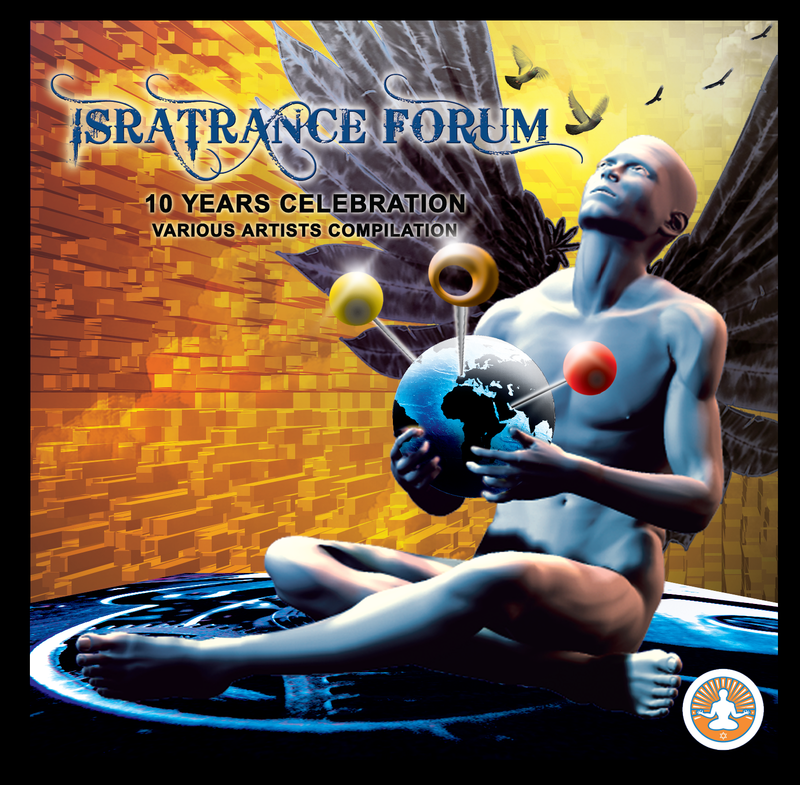 The IsraTrance forum community brings these FREE unreleased tracks from many psy-related genres available for free in the highest possible quality. The tracks were produced by experienced artists which are IsraTrancers, the music speaks for itself in the languages of ambient, minimal, progressive, full on, dark and even goa, the diversity of this compilation reflects the diversity of cultures, tastes and opinions we find daily at IsraTrance. This is a gift from the IsraTrancers to the psytrance community. Enjoy! E-flyer will be out soon. The music will be available for free in .wav, .flac and .mp3. OOOD delivers an ambient/chill tune that sets the vibe of the compilation with a beatless journey... These guys are involved in two of the hottest psy acts these days, Voice of Cod and OOOD. Their Alpha Relaxation represents the peaceful moments in an otherwise thrilling compilation. Aerospace and K-Pax drop the first beat, bringing us to the realms of progressive psytrance. Their track is well crafted, nice bass and will please the dance floor whenever played. Very much on the lines of Aerospace’s second album Elevation and this recent remix album Reformed, just a little slower. Pumpy for its 132 bpm. Kino Oko, half of the highly acclaimed Bigwigs and also well-known for his own project, demonstrate his Skillfully Oratory in this impressive track. Following the line of the I_don’t_have_a_clue_about_how_to_classify_it trance, characteristic of his music, this track is sweet and lovely. One of my favorites. N.A.S.A. track is an excellent example of good progressive psytrance. Not too fast but steady, nice atmospheres and development, good taste in the choice of effects. Good one IMO. Minimal Criminal presents us Mr. Miyagi, who is probably not in a good mood, cause these bass lines sound very nightish, and the track is more packed than the usual minimal stuff. A really weird and wicked night tune that surprises by its effectiveness on the floor. The Sensient is faster than his usual, and also the longest track in this compilation. Displaying many minimal characteristics and the natural Sensient sound, this track showcases Tim’s expertise in blending sounds together. The ending is very peculiar. We get into the serious full on territory with Hujaboy one of the most respected producers in the genre, and this track shows why. This beauty is a perfect example of how to bang the floor at low bpm. It has everything, straight bass lines, funny samples, smooth development, incredible build up, intense climax and more... Did I mention it is one of my favorites here? Definitely. The E-Jekt track keeps on a similar line: serious music relying on steadiness and well placed elements to keep the energy level. Not cheesy melodies or annoying breaks, but good flow. Mubali was the artist responsible to drop a pinch of darkness in the compilation, as his track is here to represent the dark side of psytrance. This night time tune grabs me for its flow and weirdness, but not randomness, which is very important. I like it. Filteria closes this compilation with The Snail Keeps Crawling..., a sequel to his debut’s tune “The Snuggling Snail”. Since we’re talking about Filteria, this is definitely a GOA-like tune, possessing almost 10 minutes of melodic layers, uplifting vibes and even a change in key near the middle. This is another favorite track, I tried it at the dance floor and the crowd was like: WTF was that?!? Intense track and excellent closer for this album! All tracks in this release were mastered by Colin OOOD, a member of our community who took a special role in this project as the sound engineer who mastered it and a member of the OOOD project, which track was one of the first to be selected for this project. I also would like to thank Swaroop SGDesigns for the cover great artwork ( http://www.sgdesigns.co.uk ). Please check it! I’d like to thank everyone involved in this project, particularly Rik who was mysteriously abducted during the course of this project. If anyone has news about him please let me know. mubali also rocks the house, and filteria is simply old skool - recomended. thanks to all the people who have been working on this baby.producers, artwork artist, and to Napo (full on) who, in my opinion, has been the main energizer for this compilation to see day light! This is for sure gonna become a monster release. All tracks are just brilliant. Lots of different styles cooked up together. Cangratulation to everyone involved in this masterpiece. Artists (specially to Colin for the mastering), cover designers, Mods. Cause not of this would have happened if it wasn't for him. So Napo, hats of for you!! Stay tunned. You won't regret it. awesome! nice list of muso's! thanks all involved I hate you, you hate me, we are all so hap hap happy! Firstly hats off and RESPECT! to full_on for pulling the whole thing together. It's been a long journey. Napo, you have the patience of a saint and the persistence of... well, the persistence of a research scientist I guess. God knows how you manage it with all the coffee you drink, but I'm glad you do. You rock. Awesome! I am so glad to see this taking shape. nice , when can we get it ? This is why i say.. i Love Isra !